Black Friday is right around the corner! 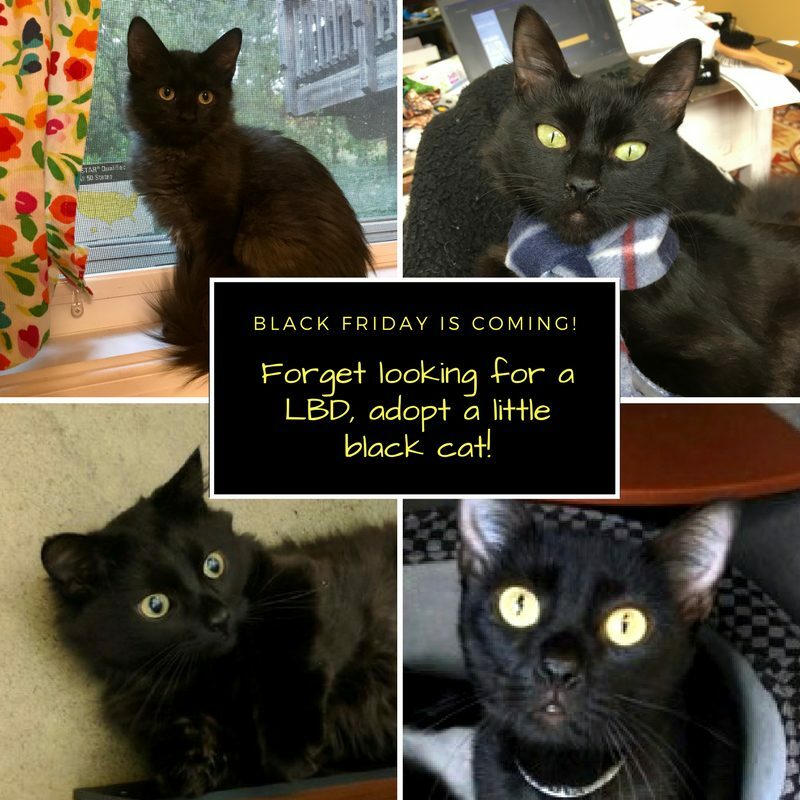 Instead of going shopping, consider opening your home to one of the many black cats awaiting adoption. The four featured here are from Lost Dog and Cat Rescue Foundation. Clockwise from the top left corner: Alex, Charlie, Lilah, Johnson. 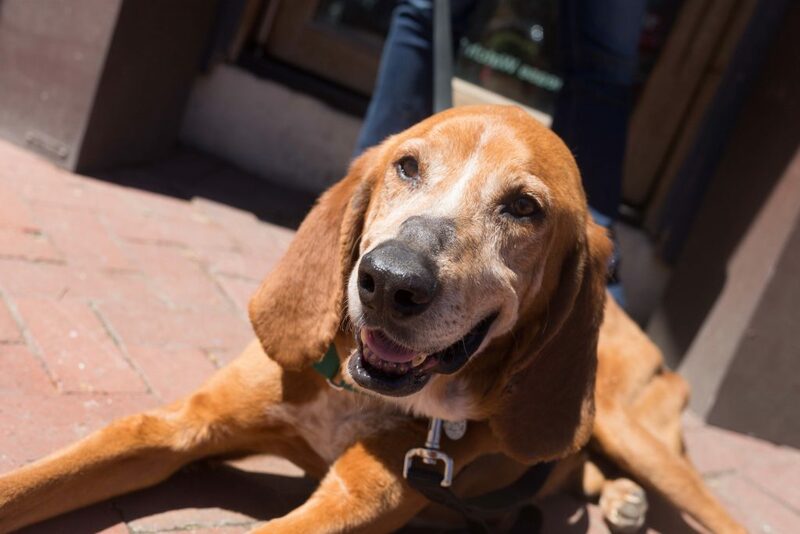 Patrick is a 6 year old Redbone Coonhound mix. He came to Rural Dog in the world’s worst shape. He was severely emaciated, had numerous growths that needed to be removed and was heartworm positive. He has since had his growths removed, gained plenty of weight, and has completed heartworm treatment. Patrick has been living with a foster family throughout all of these treatments and they can not begin to express how wonderful of a dog he is! He is a laid back hound dog who wants nothing more than a soft couch to lay on or a good old pine tree to take a nap under. He will do anything for an ear rub and will go anywhere for a treat. He is crate trained and almost housebroken, though his new family will need to do a little follow up on the housebreaking rules. He is fantastic with other dogs and really seems to enjoy their company. Somehow, with everything he has been through, he has managed to keep an upbeat attitude, be grateful for anything he has and keeps his tail wagging. There is so much more to Patrick but you will have to meet him to find out for yourself! To learn more, reach out to Rural Dog Rescue.